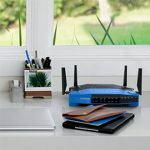 The Linksys Velop and the Google WiFi are two of the most popular wireless mesh systems on the market and both the Velop and the Google WiFi are aiming at covering larger areas with the wireless signal (more than the usual one-unit router) and leaving no WiFi-dead zones anywhere in your home or office. Of course, the wireless mesh approach is not really new in the networking world, but it has just recently become affordable enough to be used by small businesses or home owners. 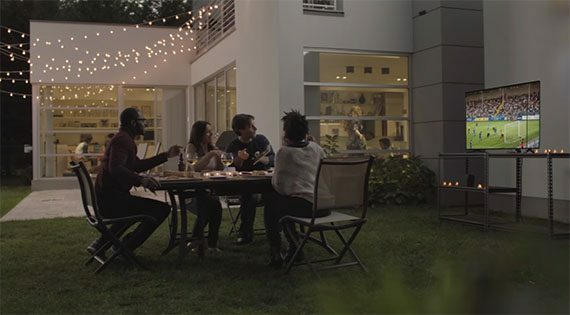 Some of the first to bring this technology to the consumer market were the Eero, Luma, Ubiquiti AmpliFi HD and Open Mesh, which shows that the Linksys Velop and Google WiFi aren’t really entering unexplored territory, so both manufacturers would have to bring something new to the table to really stand out (also, let’s not forget that in a short while, Asus will also release its Hivespot mesh system – and it sure is taking its time to develop it). 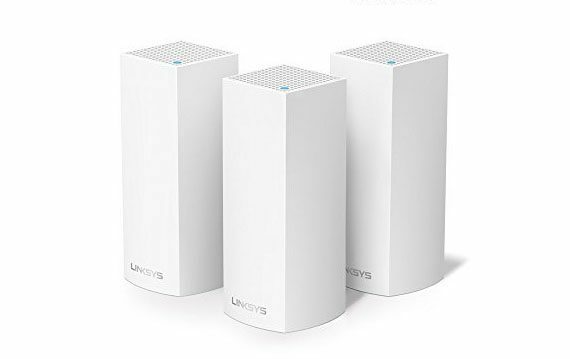 The advantage of the Linksys Velop is of course the second 5GHz radio band which helps handling a larger number of clients and it’s an additional way of managing the backhaul traffic. Google, on the other hand, went the same road as Eero or Luma and, while it isn’t a tri-band device, it does aim at making the already existing mesh technology as simple and as affordable as possible. That being said, let’s see which of the two wireless mesh system offers the most for the money and which delivers the best experience. Note: You can check the full review of Linksys Velop and the full review of Google WiFi. If you put a Linksys Velop unit and a Google WiFi unit next to each other, you’d find that there are barely any common design features and the first striking difference is the size. 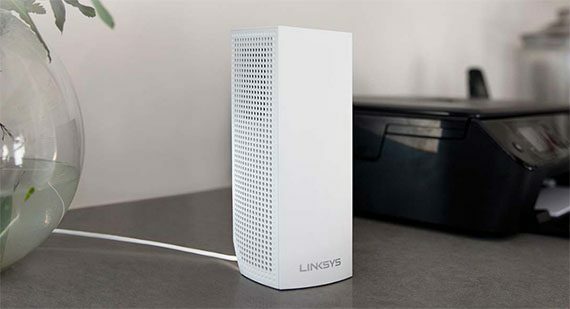 The Linksys Velop has a tall rectangular case (similar to a mini-tower), covered by a white matte finish (doesn’t retain fingerprints) and with a small triangular cut-out to allow wires to be connected to the ports. 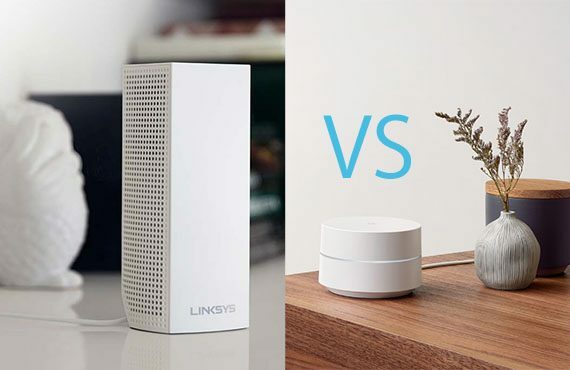 The Google WiFi is significantly smaller (it measures 4.17 x 2.70 inches and weighs about 12 ounces versus the 3.1 x 3.1 x 7.3 inches and 1.08 lbs of the Linksys Velop), it has a cylindrical shape and it is also covered by a white finish, but which is a bit glossy (and could potentially retain one or two fingerprints). 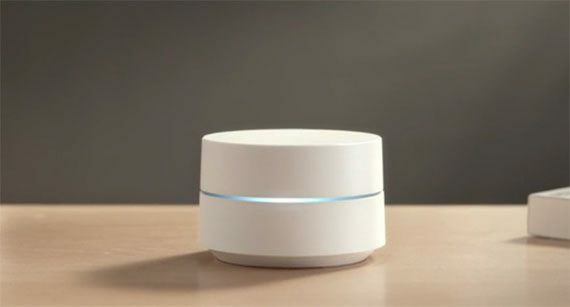 Furthermore, the Google WiFi is divided horizontally into two sides, to make way for the LED light (which does not really go all around the case) and overall, the device seems robust and well-built and, if it wasn’t for the attached wire, it could barely pass as an electronic device, let alone as a full-fledged router. The tall case of the Linksys Velop won’t go unnoticed regardless of where you’ll position it in your home, but that’s not really a bad thing since, similarly to Google WiFi, it also adopted a minimalistic design. So, besides the abundant puncture holes on two of the Velop’s sides and on the top (the other two are completely plain), there are no major design elements to break the continuity, except maybe, for the silver Linksys logo on one of the four sides. One thing that I did not see on the Google WiFi, but was very obvious on the Linksys Velop is the high interest for maintaining a proper airflow: like I said before, the Velop is covered with lots of small vent holes, while the Google WiFi lacks any relevant cut-outs, so there is a chance that it could overheat (especially with age). 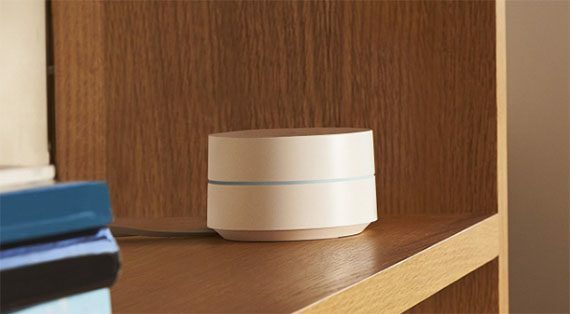 Because of its small and non-intrusive exterior, you can place a Google WiFi unit pretty much anywhere inside your home without worrying about losing desk space or if it will look out of place in a living-room. The Linksys Velop needs more attention when choosing the right place to position it, since it is inadvisable to put it near a heavy-trafficked area because it is really easy to accidentally knock it on the ground (the linksys Velop has the four sides slightly expanded towards the base to bring in more stability, but it still remains at risk because of its tall profile). 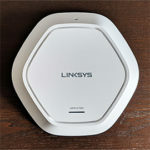 It’s worth noting that the Google WiFi comes either as a single or as a three-unit package, while the Linksys Velop can be purchased as either a unit, two units or three-unit package. Unlike the Netgear Orbi, which has one main outer and one satellite which are slightly different and serve distinct purposes, the units of Linksys Velop are identical to each other (this is also available for Google WiFi). 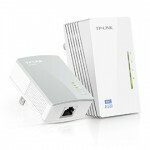 While there are many differences between the design of these two wireless systems, they do have one thing is common: both use a single LED to show the status of the network and devices. 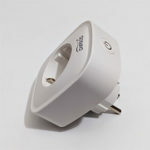 The Google WiFi is equipped with a circular LED which cuts through the middle of the device: the LED will light a solid teal colour when the WiFi unit (or point, as Google likes to call it) is online, it will flash an amber colour when there is no Internet connection; the LED will flash a red colour when the Google point has an error and it will be solid blue when the device is returning to factory default settings. The Linksys Velop has a more discreet LED on the top of each unit: if the LED is solid blue, it means that the unit is working properly, if it’s flashing a red colour, then the device lost the connection to the main unit, while if it becomes solid red, it has completely lost the connection to the Internet. Most of modern devices which can be integrated into a smart home environment tend to value simplicity and adopt a minimalistic approach in terms of functionality and design. This has translated into the removal of the old array of LEDs which showed the status of the router or the connection and the adoption of a single LED which will display different colours either solid or flashing to guide you through the installation process and will show you when something is wrong with your system. While it sounds good on paper, I find the single LED unintuitive and to actually follow what’s going on, you need to keep a note or the manual close-by. Some smart devices (such as Nest Protect) have adopted a more intuitive system and have also added voice confirmation (let’s hope the new single-LED routers follow the same method in the future – the Alexa integration could get us closer to such a system). On the bottom of every Google WiFi point, you can find two Gigabit Ethernet ports (the device which will be connected to the cable modem, will use one port for Internet connection and the other as a LAN port, while any other node from the mesh system will have two LAN ports available) and a USB-C port. On the opposite side of the LED, the Google WiFi has a reset button. 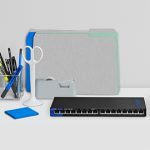 The bottom side of the Linksys Velop is occupied by a couple of Gigabit ports (similarly to the Google WiFi, you can choose any unit to be the main node and any port to connect to the Internet), a Power connector, a Reset button and a On/Off switch. Verdict: There is no doubt that both devices are elegant enough to be left in a living-room and both are similarly equipped (two LAN ports), but in terms of aesthetics, I definitely like the Google WiFi more (and I think it is one of the best designed WiFi systems on the market). 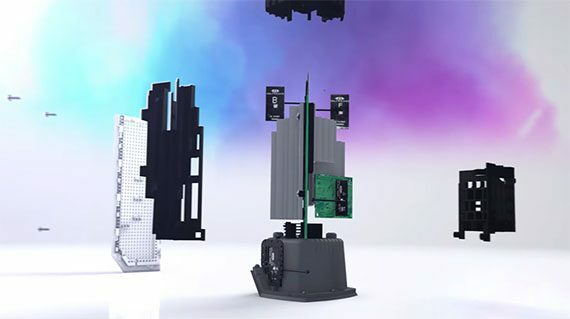 Every Linksys Velop router is built on the Qualcomm Atheros platform (IPQ4019 MU-MIMO 2×2 chipset) and each has 512 MB of RAM and 4GB Samsung KLM4G1FEPD flash storage. 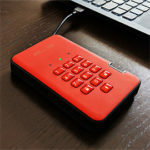 The 2.4GHz radio and the first 5GHz radio bands make use of the Qualcomm IPQ4019 chipset, while the second 5Ghz radio uses a Qualcomm QCA9886 chipset. Google has also built its WiFi system on the Qualcomm Atheros platform (the IPQ4019 chipset), with every point featuring 512MB of RAM and 4GB eMMC flash memory / 4MB Winbond 25Q64FV. The 2.4Ghz radio makes use of the Qualcomm Atheros IPQ4019 chipset, while the single 5GHz radio band also uses the Qualcomm Atheros IPQ4019 chip. 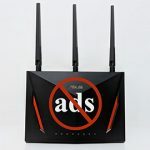 Furthermore, both the Linksys Velop and the Google WiFi are set to work as smart home hubs in the future since the systems come equipped with the ZigBee Technology and the Bluetooth wireless technology standard, but so far, the Zigbee functionality is not activated in neither of these devices. Important Note: It seems that there is a new version of Google WiFi in the works (spotted at the FCC) which lacks the ZigBee IoT protocol all-together. The maximum theoretical data transfer rate of the Google WiFi is 300 Mbps while using the 2.4GHz radio and a maximum theoretical data transfer rate of 867 Mbps while using the 5GHz radio band (making every unit an AC1200 class router). 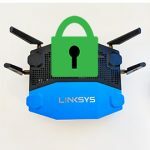 The Linksys Velop is advertised as having a maximum theoretical data transfer rate of 400 Mbps using the 2.4GHz radio band and each of the two 5GHz radios can reach up to 867 Mbps. Add these rates to 2134 Mbps and round them to reach the 2200 Mbps per unit (which goes even further to the over-inflated AC6600 for the whole box). Verdict: The Google WiFi is similarly built as the Linksys Velop, but, the latter has the advantage of an additional 5Ghz radio band, so, since it is better equipped it wins this round. 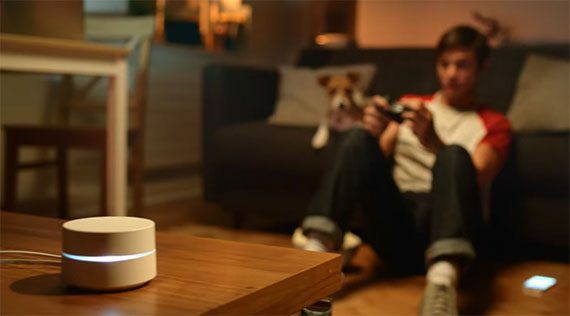 The purpose of both the Linksys Velop and the Google WiFi is to create a large enough network so it will handle a vast number of clients and to cover every spot inside your home or office. 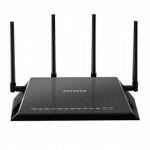 The way Linksys and Google decided to handle things was by using the already existing mesh networking system approach and to improve the way it was already implemented with other domestic mesh systems (not so much in the case of Google, where the focus was more towards added simplicity or reducing cost and less on the innovation). 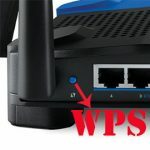 The way the Linksys Velop and Google WiFi WiFi systems work is by using the first node (can be any router) to connect to the Internet and the next node will connect to the first to further expand the wireless coverage. Furthermore, you can add a third node to the system to cover a difficult to reach area and, if needed you get the option to add many more units. The interesting thing is that all nodes communicate with each other and not only with the main unit. This way, data can be routed through the nodes and the system will find the best road where there are less interferences and where the channels aren’t crowded. This shows one of the best properties of any wireless mesh system, its way of feeling and adapting to the changes of the network. But that’s not all, since besides finding the best route for the transmitting and receiving data, a mesh network will also detect if a node has gone offline and re-route the data through the existing nodes (by scanning all the nearby units and choosing the best one to connect to based on the signal strength, the distance, the unused channels and so on). This mesh-specific functionality is called auto-healing and it ensures you can roam a larger building without experiencing any disconnects. Of course adding new nodes to the system will also force the network to reconfigure the routes and, once again, find the best and fastest ones for the data. Now, this technology sounds fantastic and it really is, but, as expected there are some major shortcomings that have not yet completely been addressed by either Linksys or Google (or any other consumer-type mesh system on the market): with every added node, it becomes increasingly more difficult to handle the backhaul traffic and there’s also the latency problem. The additional 5GHz radio is definitely a step into the right direction and the Linksys Velop will experience a better backhaul traffic handling than the Google WiFi, which is a only dual-band system. 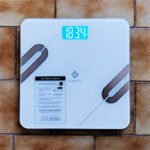 The ideal way would have been for the Velop to have a dedicated radio only for backhaul and leave the other two bands for the connected clients, but, similarly to Google WiFi, Linksys Velop left all of its bands open to use by the connected devices. One WiFi system that has a dedicated 5GHz radio band specifically for the backhaul traffic is the Netgear Orbi and as you can see from its wireless performance, there is barely any difference between using one Orbi router or adding a satellite (from the second add-on, there will be a slight decrease in speed, which is normal). We may not see the Netgear Orbi level of raw performance from either Velop or Google WiFi, but both these devices have something that Orbi lacks and that’s the Ethernet backhaul. This means that besides the three bands of the Velop WiFi system (and, respectively, two bands of the Google WiFi), you can also use Ethernet to manage the backhaul traffic and, in case you need to add more than three nodes, this is definitely a reliable solution (although, if you hard wire the units, it kind of negates the purpose of a WiFi system). Although the google performance might not be the best, I think there’s no doubt that they can catch up any time soon. As an entry level user, I now consider google like my favorite option.